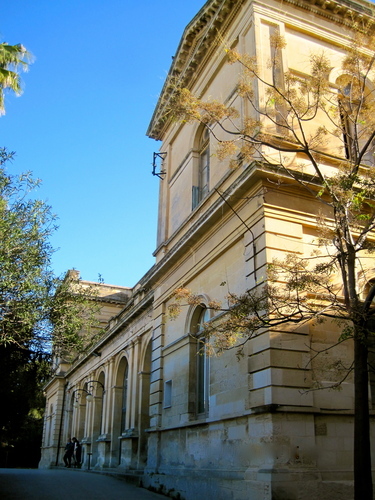 The Old Civil Hospital "Vito Fazzi"
List of Countries » Italy » Lecce and its Province » The Old Civil Hospital "Vito Fazzi"
The Old Civil Hospital "Vito Fazzi" is located in Lecce (Piazza Bottazzi, 1). 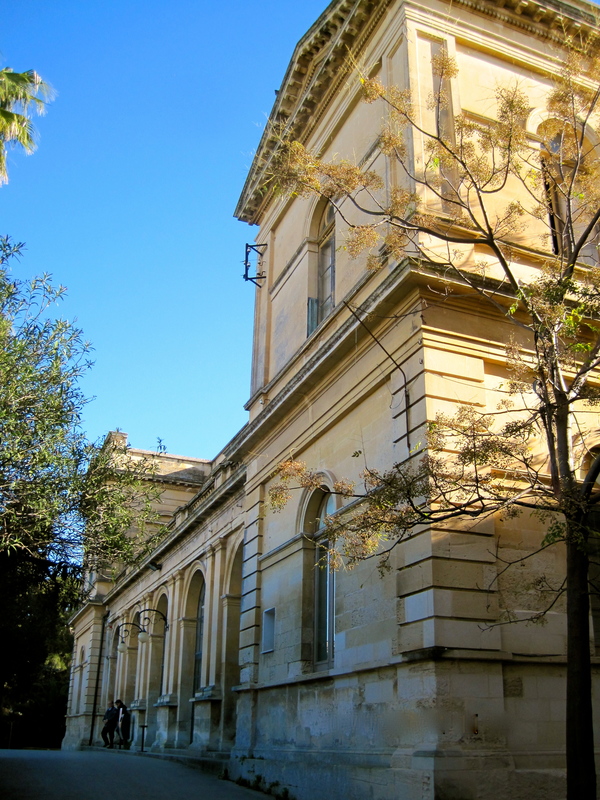 In 1888, after Crispi government’s national sanitary measures, the city of Lecce needed urgently a hospital suitable to the new hygienic health regulations. 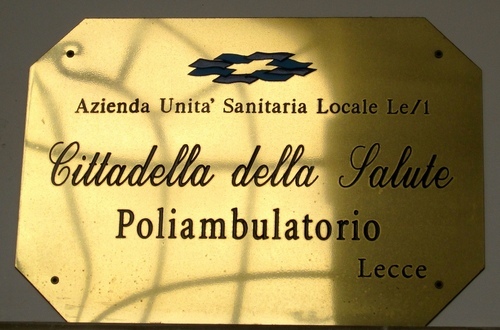 The president of the Charity Congregation was the first person who declared in a letter to Mr.Pellegrino, the mayor of the city, the real need of a radical and structural change in sanitary field. It was no longer possible that medical services were only charitable activities, but it was necessary that they had to become upgraded scientific institutions as public service. 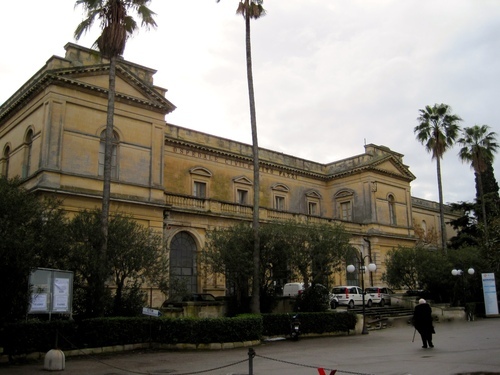 Vito Fazzi, a famous doctor who lived in Lecce, heavily denounced the serious structural lacks of “Santo Spirito” hospital, the main historical hospital in Lecce, and he suggested the construction of new areas in order to receive more patients. 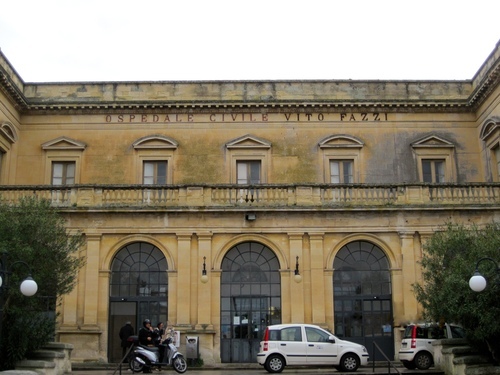 Public opinion preferred the construction of a new hospital instead of the enlargement of the old one. Vito Fazzi played a fundamental role in carrying out this huge project, by joining together private capitals with public finance. 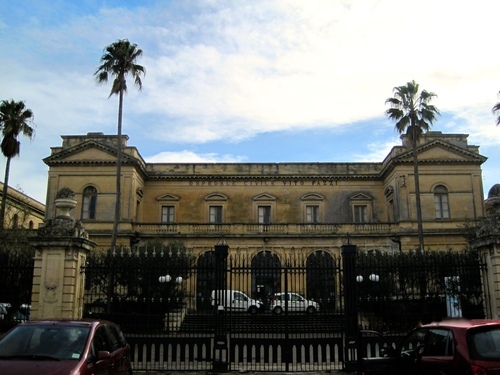 The construction of the great building began in 1903 and in 1910 the first clinics were opened; the completion of the work was delayed due to two medical and social emergencies: the cholera epidemic and the growth of the number of abandoned children. 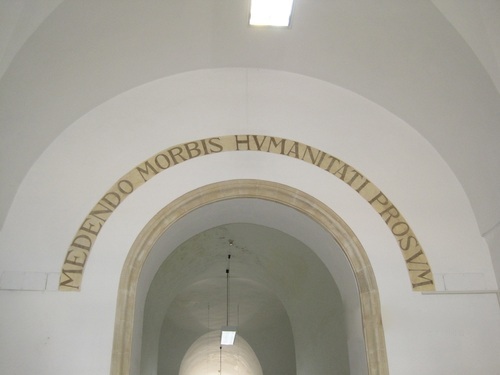 The new hospital was definitively opened in 1913, in Filippo Bottazzi Square, with solemn ceremonies. In 1922, in memory of Vito Fazzi, was located a memorial bust in his honour. 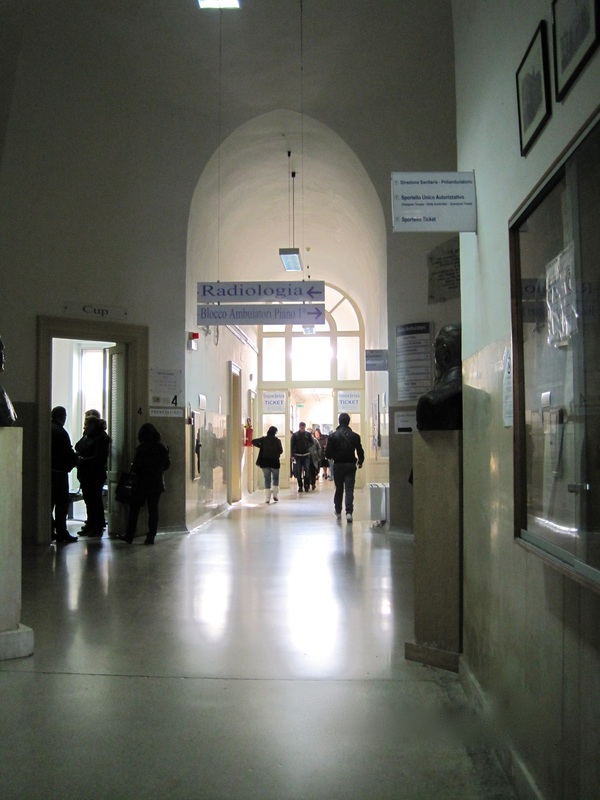 This institution rapidly developed and in 1930 several specialist clinics were already working: obstetrics, dermatology, surgery, infectious diseases, ophthalmology, bacteriology and radiology. In the following years the hospital continued to enlarge its structures and strengthen its services. 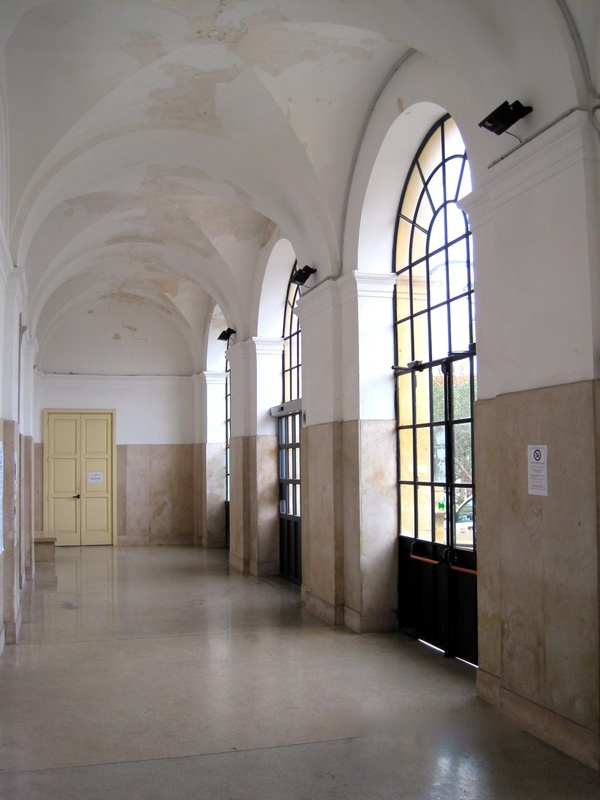 At the end of 1960s the demographic growth of Lecce and its new important role in Apulia region, led to the carrying out of the project for a new hospital, with a central position in the sanitary field for the entire zone. 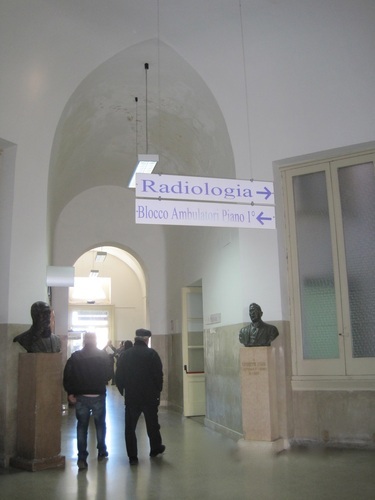 This enormous hospital, opened in 1987, was also called “Vito Fazzi”, so that nowadays in order to distinguish the two-homonym hospitals, people use the names of “old Vito Fazzi” and “new Vito Fazzi”. In the old building the local sanitary service has located different medical studies and administrative offices, that are called "Cittadella della salute", while the operative clinics are in the new hospital.